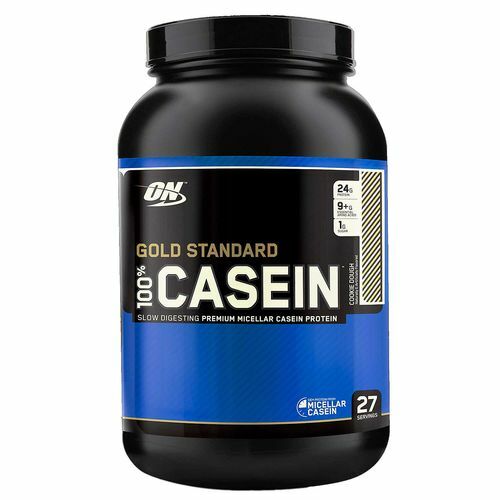 The Gold Standard 100% Casein from Optimum Nutrition is made from milk protein. Warnings: Keep out of reach of children. Check with a qualified healthcare professional before taking this product if you are pregnant or nursing a baby, or under 18 years of age. Notes: Contains milk and soy (lecithin) ingredients. Recommended Use: Take 1 scoop and mix with 8-10 oz. of liquid between meals and before bed.